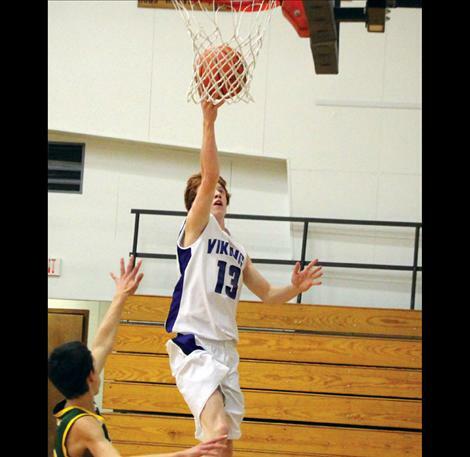 ST. IGNATIUS – The Vikings were busy on their feet this week logging a win and a loss. In Friday’s nail biter, the Vikings fell to Mission 61-65. Though the Vikings kept up through most of the game, a low scoring second quarter was enough to allow the Bulldogs to gain the edge. Tristan Santee and Kail Pope combined to put up 44 for the Vikings with 22 apiece. 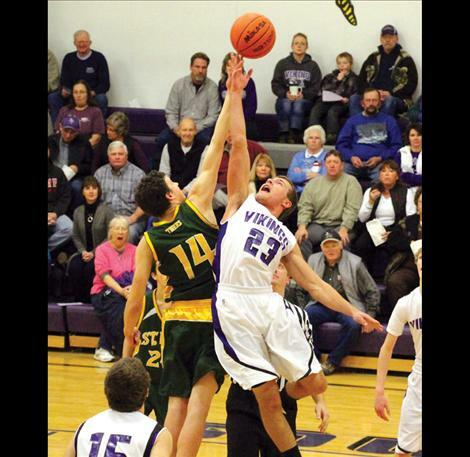 The Vikings hosted St. Regis on Saturday and brought the Viking fans a dominating 78-28 win. 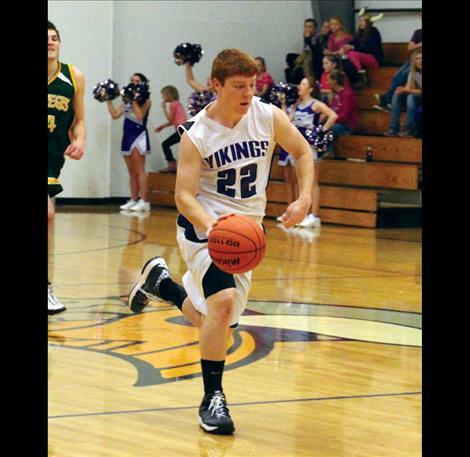 Kail Pope was the top scorer for the Vikings putting up 18 points. Tristan Santee saw a double-double netting 13 points and grabbing 12 rebounds. 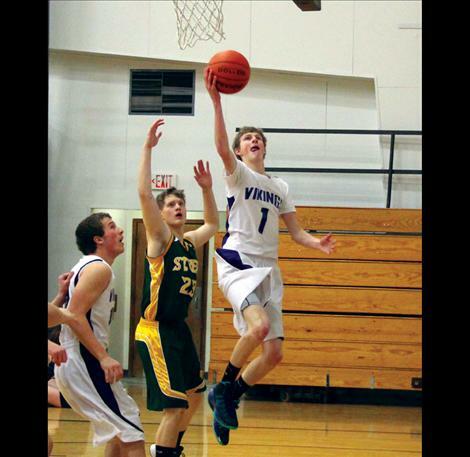 The Vikings will take their game to the road after winter break with games at Two Eagle River on Jan. 2 and at Noxon on Jan. 4. Tristan Santee 22, Kail Pope 22, Dalton Delaney 7, Tyler Delaney 4, Jesse Long 3, Jade Smith 3. Kail Pope 18, Tristan Santee 13, Tyler Delaney 12, Dalton Delaney 9, Cody Cox 8, Jade Smith 5, Cody Couture 4, Kane Shenyeer3, Dugan Runkel 3, Jesse Long 2, Greg Montgomery 1.